Despite sharp bounce, energy funds have not yet attracted heavy inflows. 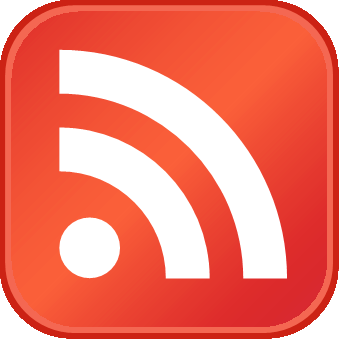 Much of the market debate currently is centered around the question of whether the market has put in a sustainable low, at least for the intermediate-term future. 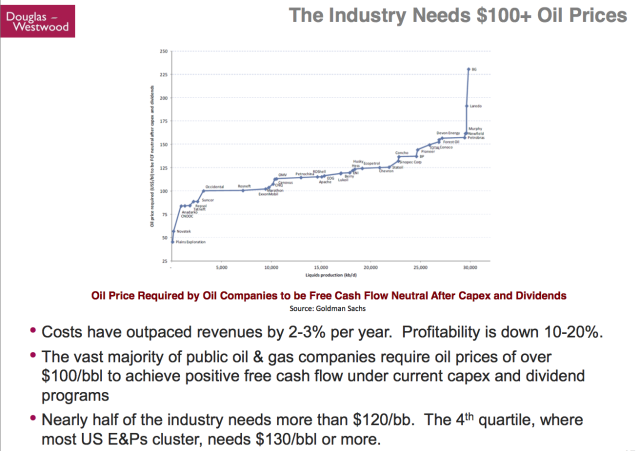 At the center of that debate lie the energy and materials sectors that have been beaten down mercilessly. A solid low in those sectors would certainly bode well for the broader market’s chances of continuing the recent bounce for awhile longer. In addition to some positive price action, one factor perhaps in favor of a continued bounce in the energy sector is the relatively complacent reaction by investors toward the sharp rally over the past few weeks. Despite jumping some 17% off of the recent lows (as measured by the Dow Jones U.S. Oil & Gas Index), investors have been slow to pour money into the sector. From a contrarian basis, this is the kind of skepticism that bulls want to see at the onset of a rally. One example comes from the Energy Select Sector SPDR ETF, ticker XLE. The XLE has bounced roughly 16% off of its late September low, yet the number of Shares Outstanding in the fund have actually decreased over that time. 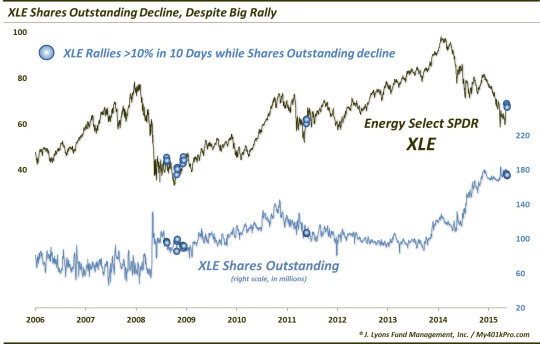 Historically, there have been 2 other unique periods in which the XLE rallied more than 10% over the course of 10 days with an attendant drop in its shares outstanding. Those occurred in March-May 2009 and October 2011. Of course, the sector, and the market in general, were emerging from sharp declines at those times. The bottom did prove to be in, however, and the rallies continued on for several more months. 6 months after each of those events, the XLE was higher by 20%-30%. 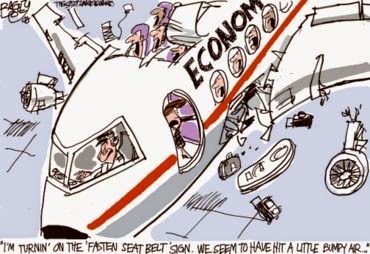 Now, there were a couple false signals in January 2009 that would lead to the marginal new low in March. However, the low was at least close at hand. Another example of investors’ reluctance to jump aboard the energy rally comes from the Rydex (Guggenheim) family of mutual funds. Here again, we see that, despite near-20% gains in both the Rydex Energy and Rydex Energy Services Funds, the funds’ assets have risen very little. 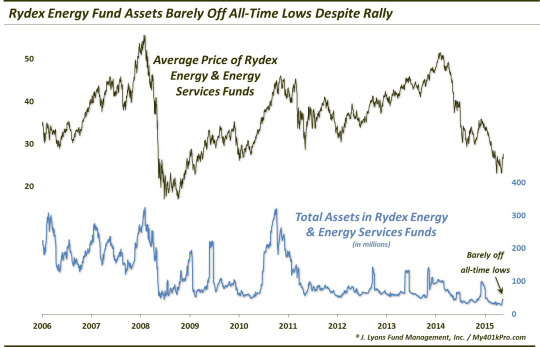 As the chart shows, the combined assets of the Rydex Energy and Energy Services Funds have climbed a relatively small amount during the rally. Yes, those assets have risen from an all-time low of $27 million on October 1 to $45 million today. However, compared with the yearly high of $100 million in May, the inflows have been paltry. Now eventually, the sector is going to need to see some inflows. That is how rallies are fueled. However, at the onset, bulls want to see enthusiasm at low levels. As long as there is a healthy amount of skepticism, there are potential eventual buyers on the sidelines. This is the proverbial wall of worry. This reluctance on the part of investors to pour money into the energy sector does not guarantee the rally will continue. However, if one is bullish, it is a far preferable reaction to a sharp bounce than had the sector seen record inflows.